You'll be too cool for school in the classic Old Skool skate shoe from Vans. The upper of this women's shoe is made from sturdy canvas with an iconic Vans sidestripe and thin striping detail. 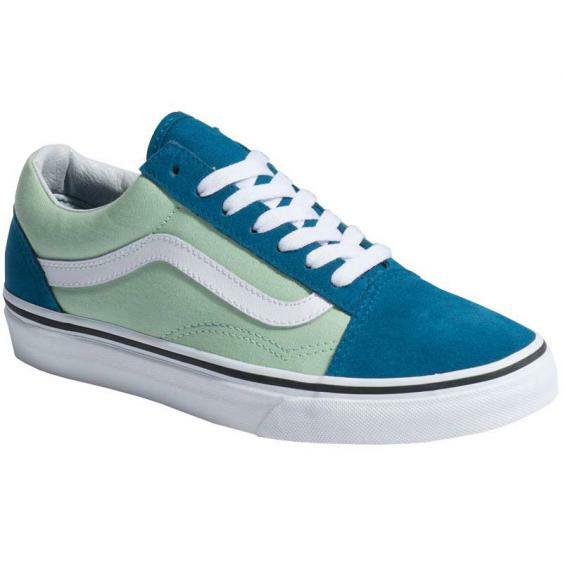 A padded collar adds to the style and comfort of the Old Skool and a reinforced toe withstand repeat wear. The traditional lace up design ensures that you get a perfect fit and the soft linings are easy on the foot straight out of the box. The Old Skool is finished off with an iconic Vans rubber waffle outsole for traction. Be the envy of everyone in class with the Vans Old Skool sneaker.